My grandmother always stressed upon the importance of coconut water in one’s life. Dubbed as the ‘Magic Drink, ‘Nature’s Drink’ etc., the health benefits this fruit offers are many. However, to my surprise, I came across a few disadvantages of coconut water. Yes, you read that right. Coconut water has got certain disadvantages if you happen to consume it in excess. Want to know what they are? 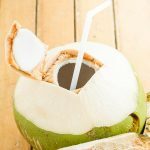 Then you shouldn’t miss this post – the coconut water disadvantages! In case you prefer coconut water for rehydration immediately post work out, then you rather drink plain water. Because the amount of sodium plain water contains is unarguably more than that present in coconut water. And hey, it is sodium that aids rehydration, right? Also, when compared with certain sports energy drinks, coconut water is way low on carbohydrate content but ten times high in potassium content. Coconut water just contains one-tenth the sodium when compared with other sports drinks (1). Now that’s something very undesirable, isn’t it? While the rest of the world is sweating out to decrease calories, I don’t think you would want to do something opposite. Though coconut water doesn’t contain as much sugar as many sports drinks and fruit juices, it does contain a bit too any calories. As little as 11 ounces of coconut water can contain upto 60 calories (2). Now, ‘calories’ would be a harmless term only if they are low, right? This is the reason it is not advisable to consume coconut water in excess. Some of us do have allergies. We might be allergic to certain food items and ingredients and hence, we refrain from consuming them. Similarly, coconut water might cause allergic reactions in certain people who are allergic to it. Coconut is basically a tree nut. Hence certain people who consume coconut water might be prone to tree nut allergies as well as other forms of allergy. The understatement is coconut water should be kept away from people who are prone to allergies (3). 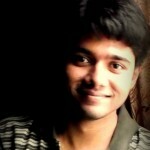 This is another disadvantage when you consume too much of coconut water. Coconut water has diuretic properties (4). This means too much of its consumption might require you to take a break and visit the loo a number of times. 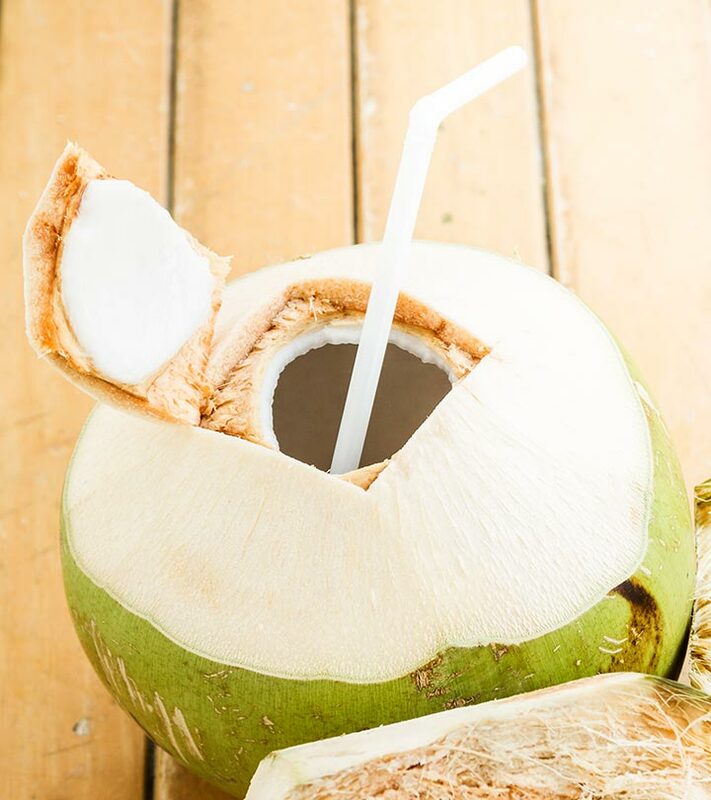 Although a mild amount of coconut water has hydrating properties, too much of its consumption can be unhealthy. The high potassium content of coconut water is one reason it is a wonder drink. But then, the very same reason can make coconut water fatal if consumed in excess. In a specific case, a man had spent an entire day playing tennis in 90 degree Fahrenheit weather. He happened to consume a whopping 88 ounces of coconut water, which resulted in a condition called hyperkalemia, eventually leading to a serious condition (5). Hyperkalemia causes weakness and lightheadedness, and within minutes the victim might lose his consciousness. Too much of coconut water consumption can be dangerous. Drinking too much of it can have laxative effects on your digestive system (6). Since coconut water is a natural laxative, it might not be suitable for some people who have problems with their bowel movements. Hence, care should be taken before consuming a large amount of coconut water. Coconut water may not fall under sugary drinks but still it does contain carbohydrates and calories (7). People with blood sugar should give it a miss in between and not drink it every day. It is preferably not the best option as a daily drink. Coconut water surely cools one’s body. But again, it may not suit people who are chilly in nature otherwise. People prone to cold and chill environment should give it a miss because coconut water is cool and it may further make them cooler (8). This in turn may make them suffer from cold more often and add to their discomfort. This is one of the major side effects of coconut water. Coconut water might lower your blood pressure, and in case you are already taking medications for high blood pressure, it might cause your blood pressure to go way too low. Hence, remember to consult your healthcare provider in such a situation (9). Coconut water is to be consumed fresh (10). It should ideally be consumed right after cutting it open. If it is left open for some time, it loses all its beneficial nutrients. If it loses its nutrients, it is no longer considered a healthy drink. Coconut water is a wonder drink, yes. It might have many benefits which are virtually absent in other drinks. And talking in terms of health, it probably is the most preferred drink. But that doesn’t mean you can become a sole survivor of coconut water, does it? Hope this article was informative enough for you. We would love to know your opinion and read your comments on these coconut water side effects. Please leave us your comments below. Is Coconut Water Good For Weight Loss?